See your changes in real-time with Live Preview in Marketpath CMS. Live Preview allows you to visualize your content without the need to click (and wait for) “Preview” or “Update”. This means you can update content and see how it looks on your website without the changes being visible to the public. 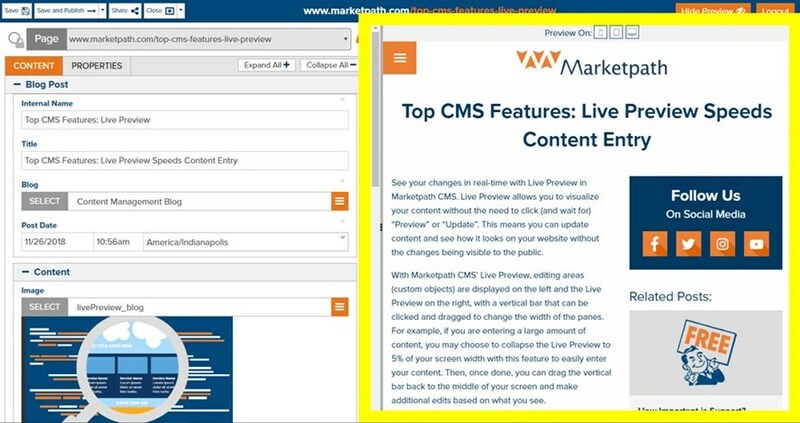 With Marketpath CMS’ Live Preview, editing areas (custom objects) are displayed on the left and the Live Preview on the right, with a vertical bar that can be clicked and dragged to change the width of the panes. For example, if you are entering a large amount of content, you may choose to collapse the Live Preview to 5% of your screen width with this feature to easily enter your content. Then, once done, you can drag the vertical bar back to the middle of your screen and make additional edits based on what you see. The Live Preview pane features 3 default views: mobile, tablet, and desktop. Clicking on any of these icons automatically sets the Live Preview pane to the width of the specified view. If you click the desktop icon, a new tab appears in your browser and displays the page as if you had clicked “Preview” or “Update”. From here, you can verify how responsive your page is without making your changes live. Developers, from this view, can inspect the webpage, and make and view additional modifications to the page without making the page live. The Live Preview is displaying data that is stored in our staging environment. It is only when you publish does data commit to the live site. Live Preview also helps you to quickly maneuver to the content you want to edit. For example, you have the page displayed in the CMS. If you click in the Preview window on the content area you want to change, the left side scrolls to the editing area where the content is housed, while the Live Preview area you selected remains stationary. Live Preview displays changes made in the WYSIWYG editor, or its source code. 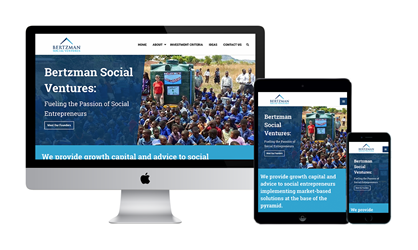 Ready for a website in which you can see content entry on the fly? Contact us today to get started!